You find them in articles, case studies, research reports, blog posts and social content: statistics. Whether writing for consumers or industry professionals, healthcare reporters value strong, meaningful statistics from credible sources. When working with our healthcare clients, we encourage sharing primary data whenever appropriate to support key messages and increase share of voice in the media. 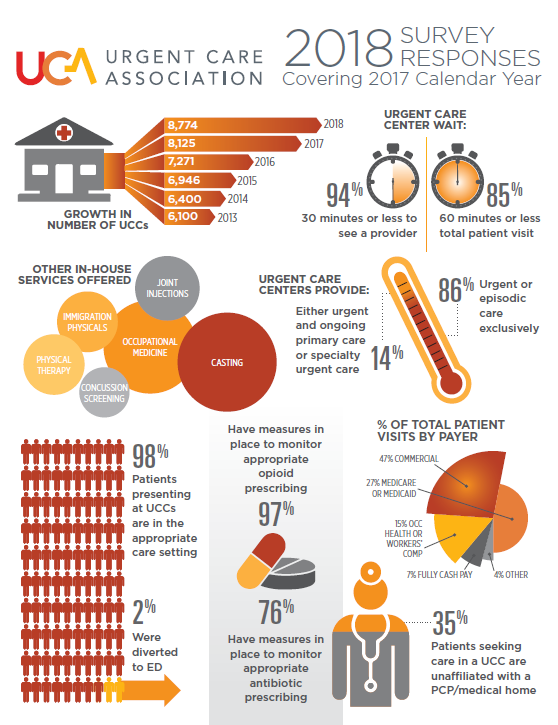 The Urgent Care Association (UCA) is a prime example of how we work with a client to use proprietary data to drive thought leadership in a crowded industry. Each year, UCA collects benchmarking data from its growing membership of on-demand healthcare providers, resulting in useful metrics to illustrate industry growth and operational or clinical trends. We then review and write up press materials showcasing top benchmarking results to share with media, along with expert insight from UCA leadership to put the numbers into context, and an infographic to visually illustrate the data and enable social sharing. Media typically cover the initial benchmarking results as an update on the industry, as well as cite the data year-round to support other articles covering news in on-demand care. Because UCA gathers its data annually, many media outlets have come to rely on the metrics for their ongoing coverage – making UCA a thought leader and go-to source for industry information. This year was no exception! Shortly after sharing the latest benchmarking results, we coordinated a flurry of media requests from a wide array of outlets including TIME Magazine, NOLA.com, Managed Care Magazine, Healthcare Dive and Forbes.com, to name a few. Many more outlets will cite the UCA benchmarking results throughout the year as they write about urgent care growth, new trends in on-demand care, expanding services at urgent care centers and other similar topics. This will keep UCA top-of-mind with key outlets while reinforcing our key messaging to target audiences.